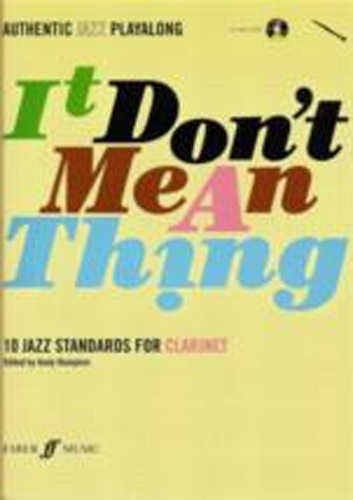 It Dont Mean A Thing - Book & CD for Clarinet. Authentic jazz playalong brings together Gershwin, Porter, Ellington and other legends of the 20th Century jazz. Contains 10 absolute classics arranged for the intermediate player (Grade 4-6). Songs include; Embraceable you, My funny valentine, Summer time, I get a kick out of you, Ive got you under my skin, How high is the moon, Someone to watch over me, Love is here to stay, It dont mean a thing and blues in the night.